WELCOME TO MY ORGANIC FARM! My name is Kevin Wayne Lundgren. I am your local organic food grower and a fifth generation Central Texas farmer located in the Lund community of Eastern Travis County. 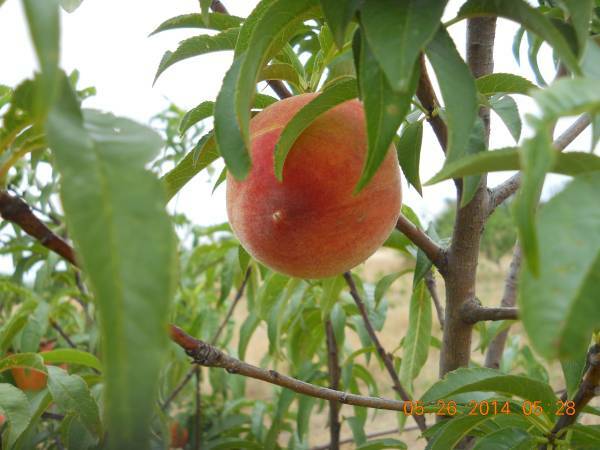 I have been growing food and grain crops since my pre-teen years. You will notice that our organic foods are hearty in appearance and have a sweet taste. You can really see and taste the organic difference in our vegetables. In fact, due to their special flavor, the shallots and onions we grow have been given the name WAYNIONS by my family and loyal customers. Incredibly, even the organic broccoli we grow tastes sweet! The picture to the left is an example of how we use mother nature to create soil fertility. I plowed under this beautiful crop of Crimson Clover legumes to make fertilizer. Later, I planted shallots and other crops on the same land. 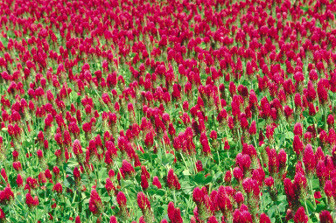 So, the previous years Crimson Clover or other legume crop becomse the plant food for the crops I grow for you. This is my method of organic farming. Naturally, the health and nutritional value of the soil always governs the taste and nutritional value of the vegetables grown on that soil. Great tasting vegetables require the highest quality soil. Our shallots have an interesting history. I was introduced to shallots many years ago by my neighbor, the late Selma Eklund. 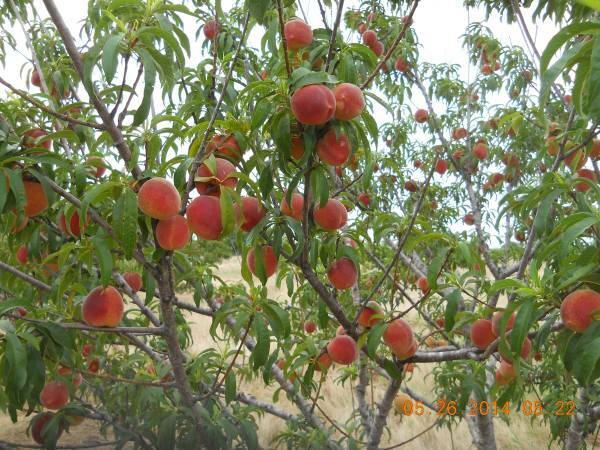 Selma was an avid gardener and she shared her bounty with all her neighbors. Everyone who lives in the Lund community has eaten their share of free meals from Selma Eklund's garden. For almost 70 years, Selma maintained a small plot of shallots that her parents brought from Germany when they immigrated to the Lund community in the late 1800s. As Selma grew older, her garden became too much to manage. After she became too frail to garden, she eventually asked me to take her remaining stock of shallots that had dwindled to only seven plants. These were certainly the strongest plants, having survived for several years without care. I transplanted them to my farm, and at one point I thought I would lose them. Selma lived to see her heirloom shallots cover several acres of my farm. I think she would be equally proud to know that our customers can buy shallot plant stock that originated from her garden. So, when you buy my shallots, you get a real taste of "Selma's Garden". There is no substitute for high quality soil, but optimum soil development is a process that takes years. If a vegetable was grown "in season" but seems bland or tart tasting, the quality of the soil is usually the problem. My brother, Mike Lundgren, is also devoted to organic production, although his time is limited by his other duties in the high tech "field". 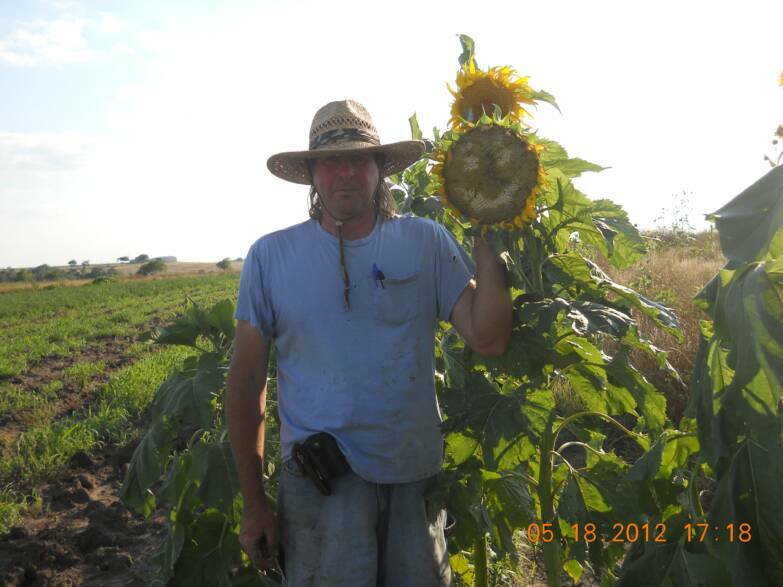 In his spare time, Mike maintains an organic garden and pecan grove east of Elgin. 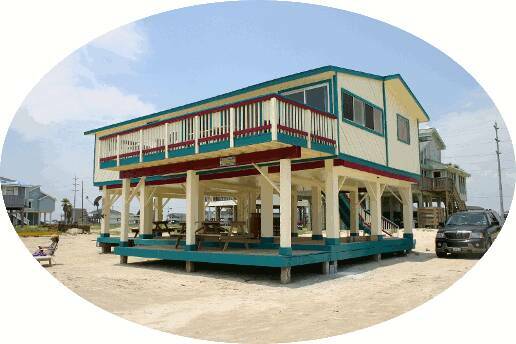 Together, we own several farms in the Lund community of eastern Travis County, where we were born. We are proud to say that the restored land where our shallots and other vegetables are grown has been owned and farmed by our family since 1903. So, why go organic? Well, let's review the reasons! Organically grown foods contain no synthetic fertilizers, pesticides, or herbicides. Organic foods are not grown from genetically modified seeds. 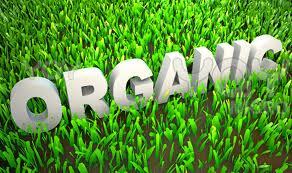 Organic foods are grown in soil that is nurtured by nature, not treated and amended with chemicals. Moreover, organic farming promises healthy top soil, nutritious foods, clean groundwater, rivers, lakes, streams, watersheds, healthy fish & wildlife, and a healthy population, sustained by the food we eat! 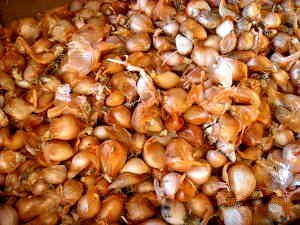 At LPC, we produce many organic vegetables and one of our specialties is Organic Shallots. Please visit the REVIEW OUR PRODUCTS page for a detailed description of all the organically grown and certified products we now have available. 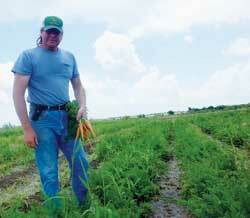 In 1991, I began to restore 11 acres of depleted clay soils on our Eastern Travis County farm. To restore fertility, I used legumes and a limited amount of organic soil amendments. Over time, the land began to take on a new life. The organic matter in the soil increased from 2.8% to over 6.5% which is the level of 100% sustainability. 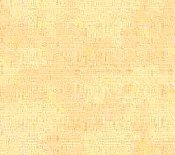 The PH factor of the soil slowly dropped from alkaline 7.7. to a neutral 6.0. Earth worms and beneficial insects have returned. Today, honey bees abound on my land and plant diseases are no longer a threat. The soil has been restored to a level of virgin productivity. My formula for soil sustainability has taken over two decades to perfect. In 2008, we began preserving several other heirloom species that have faced extinction, including rare Oxblood Lilies. We have shallot scallions and shallot seed stock for sale each year during November, December and January. If you purchase our shallots, corn, onions, broccoli and other food crops in season, you will discover that although our produce costs substantially more, you will always get much more than full value, because our crops are locally hand-grown in healthy and nutritionally balanced certified organic soil. 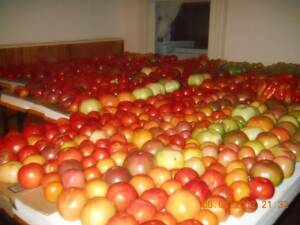 Lund Produce Company grows and markets the purest and highest quality organic foods. We irrigate our crops with captured rain water and we fertilize our crops with nitrogen fixing legumes. Planting, weeding, harvesting and preparation require a tremendous amount time and physical labor. Our premium organic foods cost more to produce but they also contain a greater nutritional value. This value is the foundation under a healthier lifestyle for you and your family.